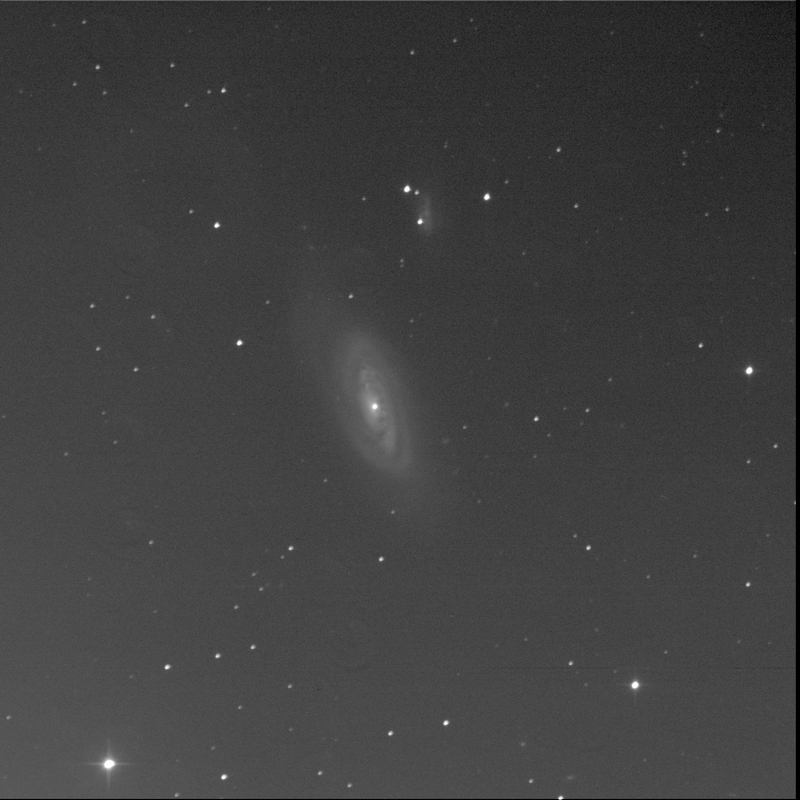 Lovely spiral galaxy Messier 90 was imaged by the BGO robot. It too is in Virgo, another M-object viewed but once, back on that big night in May 2013. The core is compact, tiny. Love the dust lanes within the bright glow of the disc. The outer reaches of the spiral arms to the north look distorted, extended. Little galaxy IC 3583 hovers to the north.